Do you know how to orient a map? Here’s a good YouTube video if you didn’t learn in the scouts or the army (like I did). Why do you need to know how to do this? 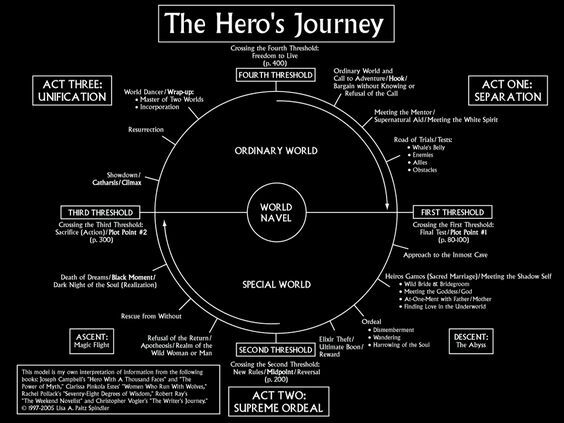 A lot of people have created maps and charts that represent the Hero’s Journey. Pinterest has a slew of them! The Journey has twelve stages. Even though the stages are kind of squishy edged, they are still there and you need to know your current stage. Once you know your current stage you can address it directly and take action to move yourself along. Are you Refusing the Call? Listen to your intuition and respond. Encountering Guardians once you’ve crossed the threshold? Identify your personal archetype and your unique skills to overcome those guardians. Pounding away in the Tests and Trials stage? Figure out what the movie Hero you would do to get you out of the situation and onto the next stage. Every stage has its own qualities and idiosyncrasies. The “right tool for the job” requires you know what the job is as much as which tool to use.